How’s it going? Are you enjoying this challenge? Finding it useful? If so (and I hope you are!) do you know someone that could do with some extra self care? Be a friend and tell them about this. Today we’re looking at something soooooo simple to do, that costs ziltch, that brings amazing benefits that you already know about but probably don’t do. What am I talking about? Water. Okay, you’re an intelligent person, and I’m sure it’s something you know you should do. But it might not be something you actually DO do. So let’s make it something to focus on today. And remember – it’s not a competition! Oh, a worry many people have is – won’t I be forever running to the loo? When you first start, possibly but that’s because you are dehydrated. Imagine a dry pot plant you haven’t watered for ages: when you first pour water on it, the water just runs off. But once the soil starts to take in water, it’s absorbed and will hold it. That’s what happens in your body – when dehydrated, the water will take a while to be absorbed so you might find yourself trotting off to the loo more often, but if you persevere it’s really not an issue, because your bodies hydration becomes balanced. Stay tuned for Day 9. Glad I made a conscious decision to start drinking more water. My body hasn’t gotten used to absorbing the water. My bladder seems so tiny lol! 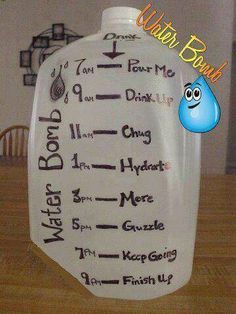 Another good suggestion for refilling your water bottle, perhaps try a big jug and label it with the times of day you would liked to have drank a certain amount by. Lots of people have found this helpful. Yes, water water water. I saw a meme that said something like “I am seeing so much I am so hydrated! !” It made me laugh. I recently have been thinking about the quality of water in my house. We have hard water, but can’t currently afford to get a softener installed. I recently found this filtering system that goes on our shower head, to hopefully lessen the rust affect going on in our shower. Then I got to thinking. If our shower looks like this and we use the sink water to drink from, without a filter, perhaps it is rusting away our insides, too. Am I crazy for thinking that? Lol. I think I am going to get one of the under the sink filtration systems. Nooooooooooo! you’re not silly for thinking that. I always think that – imagine how our drains all look on the inside, they’ve been around for YEARS! Filtered water is always good + also bottled water is good for you. But than again, I also believe (a little) that the germs in the water strengthen our immune system. See, that is where I am at too. Like, I would be curious to know what hard water actually does to our bodies. I think I am going to look it up, lol. Yes, look it up + do a blog about it! I would be really interested in reading the information. I know I need to work on this more, I get so 'meh' by the end of the afternoon. I use an app called Plant Nanny, because I respond well to dumb app games haha. 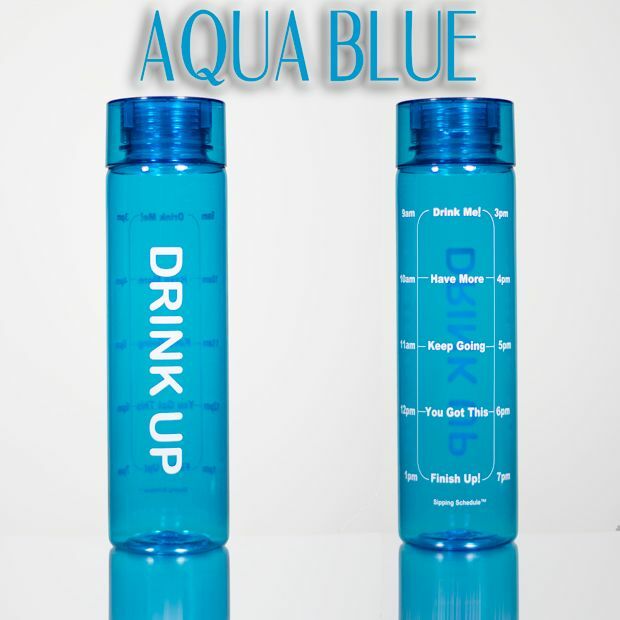 It takes my weight, height, and activity level and tells me how much water I should drink every day. Then I get to pick what I plant (and harvest fully-grown plants for seeds, which I can “spend” to plant cooler plants that produce more seeds), plus there are a variety of planters. If I don’t drink enough my plant gets all droopy, and if there enough days of that in a row it’ll die. It sends me regular “your plant is thirsty” reminders throughout the day if I don’t tell it I’ve had anything to drink. Also, I noticed that whenever I get off and start making an effort to drink more water, I usually have to pee a lot more frequently for a couple of days until my body gets used to it. That is THE most amazing thing on the planet! I literally just download it! Yay! My favorite is the rose plant. Some of the other ones (any thing mushroom-looking tbh) are kinda weird and suddenly sprout second heads. I need to get that!! I’m awful at keeping hydrated! It’s a great app! I mean, sometimes I lie to it to keep it off my back, but for the most part I’m honest and the reminders are really helpful. Heh, yeah I’ve lied to hydration apps before!! 😜 This one seems much easier to manage though; my dandelion is doing well! I love that it reminds you how many more drinks you need for the day without actually having to go into the app; handy! I talk about this constantly with my clients. Simple to do for your health yet it’s the hardest thing to get people on board to do. Yup, it is SO hard – I can admit I struggle. PTL and Yay for another challenge that I can add to one I am already doing. Maybe I will actually accomplish it… AND make my dietician coach happy? lol Thanks for the reinforcement! Praying for all of us to get it done. You got this – I have faith in you! Love this! I need to drink more water, this is a good reminder! Happy you liked this post 🙂 Woohoo!